The Great Neath Fair celebrated its 731st year last week. 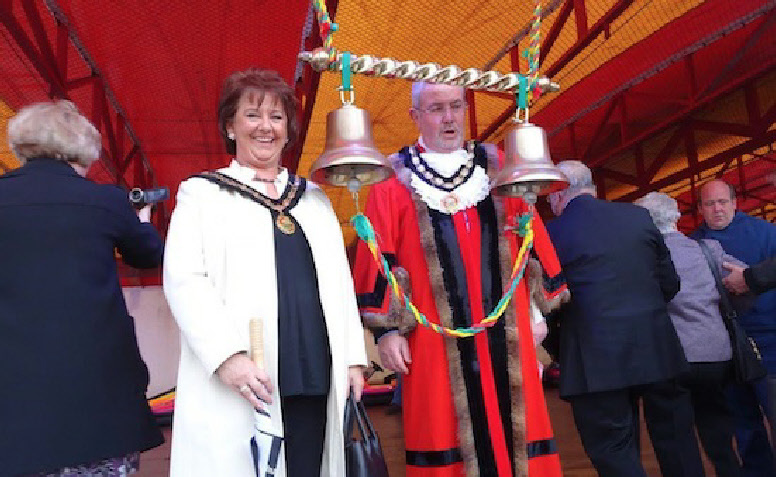 The deputy Mayor – Cllr Dennis Keogh, rang the bell to officially open it after a minute’s silence for Mayor Cllr Janice Dudley, who sadly died last month while attending a function at Aberavon Beach. 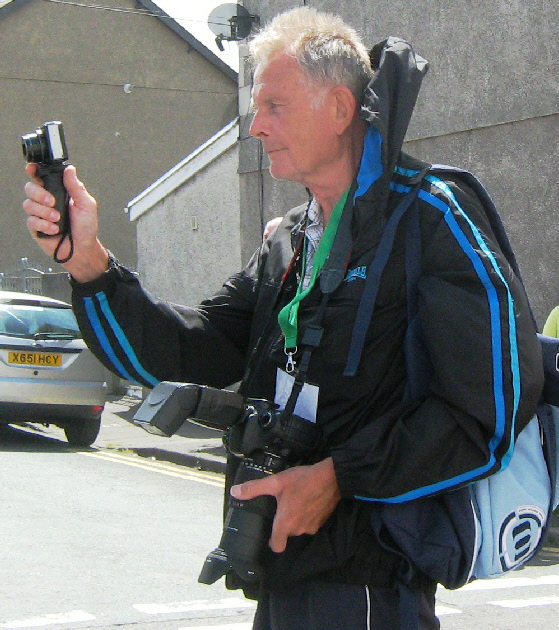 Our RDN photographer Mike Davies (seen above filming Resolven Carnival) was at the Battle of Britain Parade in Neath for us on Sunday. It would greatly help our Practice Nurses efficiency, if you arrived at the clinic wearing a short sleeved shirt for your vaccination. 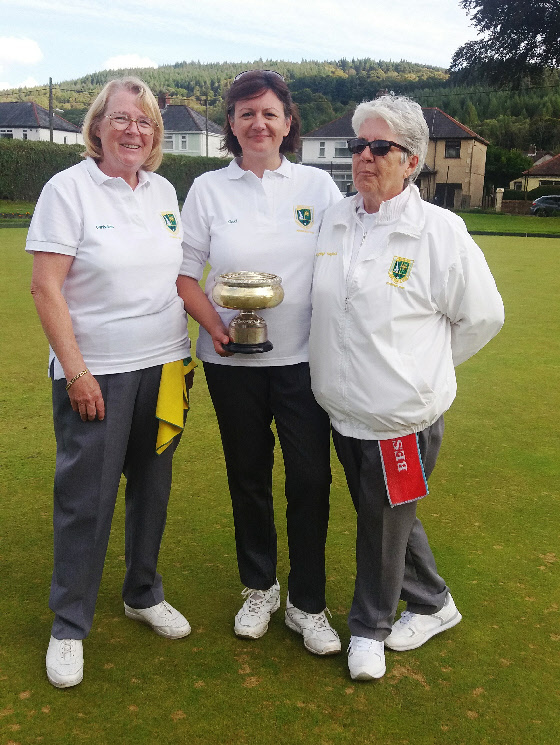 Resolven Ladies’ Bowls Club Championship Final, played this week, was a gripping affair and worthy of a slot on Match of the Day T.V. Christine Twaite, 7 times winner of the title faced Ceri Holmes, a beginner who only picked up a bowl for the first time last year. Chris had already beaten Ceri in the 3 Woods Final, but picking up the Rose Bowl as winner of the Club Championship is the ultimate accolade. The game was superb-hardly a loose bowl from either player. Ceri was on 18 shots (only 3 away from winning the match), when Chris using intelligent tactics, moved the mat up the green and started a great fight back. Ceri was stuck on 18 with Chris gaining on her and spectators were muttering “anyone’s game”, when Ceri took an end, put up a long jack and won the game. What a Final! Congratulations to both bowlers, who not only played excellent bowls but also played in the real spirit of the game..
Also congratulations to Carwen Thomas who kept a cool and impartial head and did a great job marking the game, particularly since Ceri is her daughter! Anne Dadak (Annie) of John Street., whose funeral took place on September the 11th, was not a native of Resolven. 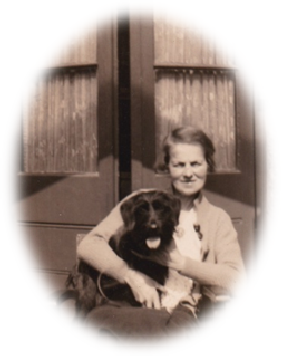 But when she arrived here from Bournemouth, she immediately made friends and soon became a familiar figure in the village – walking her dogs and acting as secretary and committee member for Resolven Residents’ Association and Resolven District News. Annie had worked as a legal secretary, so both groups were lucky to have her on board and RDN were delighted to “print” two of her stories on our website. She had a real gift as a storyteller. The warmth of her personality shone through them, as brightly as her distinctive red hair. She will be missed by many and as a tribute to her and the place she made for herself in our community; here is the last story of hers that we featured on RDN. 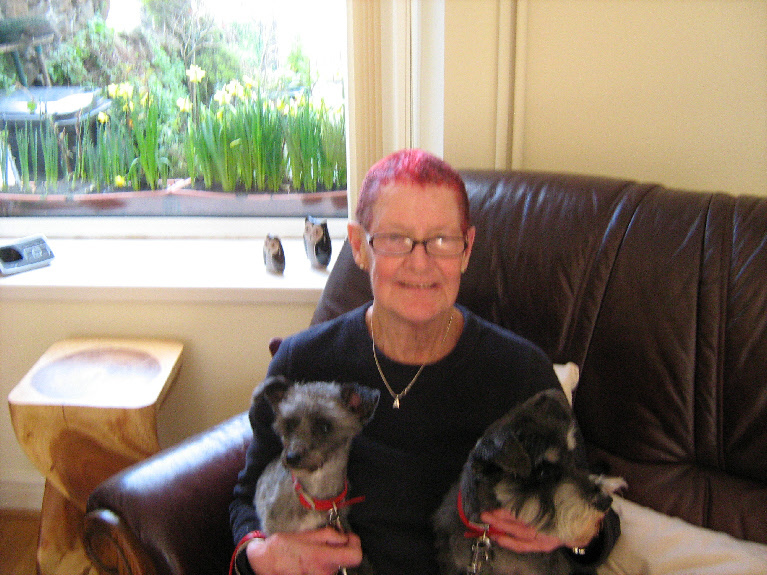 We’d already met Annie on our website as Annie the Lady with red hair and the dogs. She told us about arriving in Resolven eleven years ago. 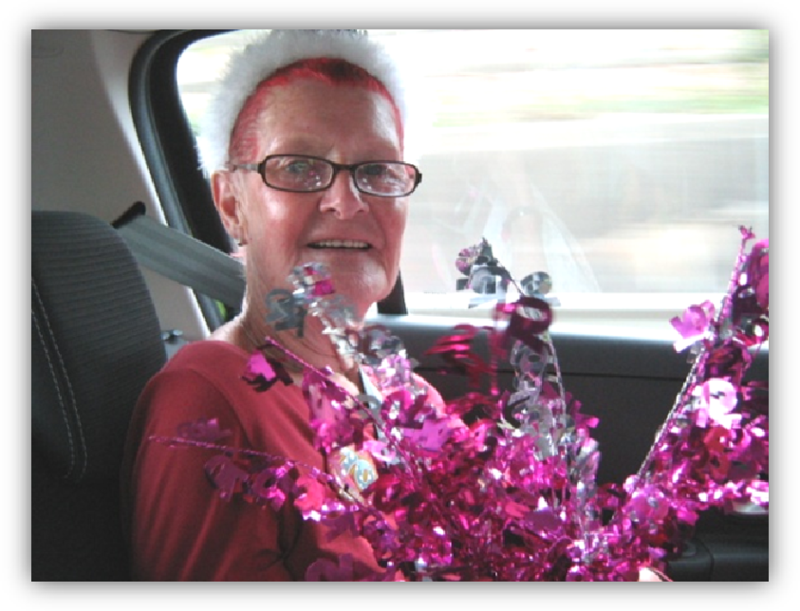 In this story, Annie told us about her first experience of a coach holiday. 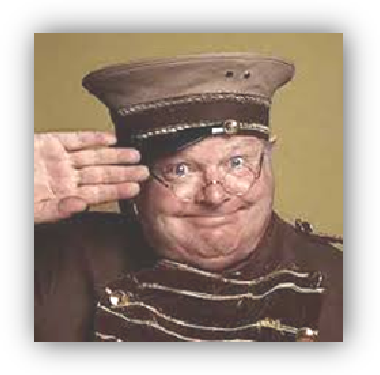 “Many years ago I remember watching a Benny Hill sketch starring Barbara Windsor about coach tour holidays. It was all speeded up and so very funny. I laughed and laughed but at the same time I said to myself ‘you will never catch me going on one of those’. Famous last words! In 2006 I was on the road to recovery after months of treatment for a serious medical condition. When I was first diagnosed I had set myself three goals. Namely, 1) Beat the ‘dreaded lurgy’ – which I did. 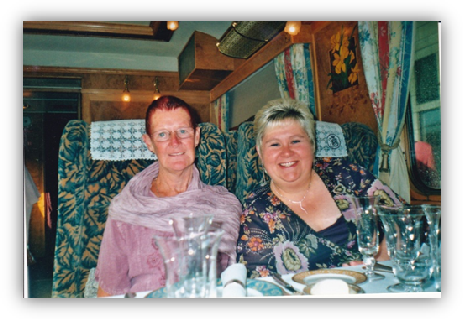 2) Lunch on the Northern Belle – which I did too. 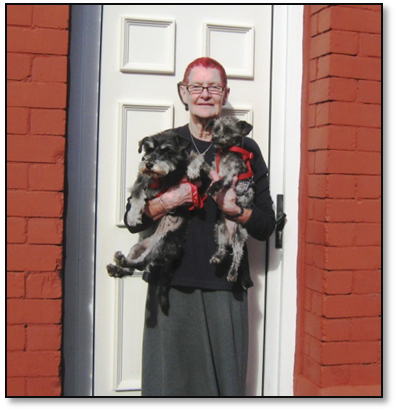 3) Go on holiday – until then I had always taken my two dogs Hope and Glory with me. We often stayed in a hotel in Sidmouth which took dogs. But this holiday was to be the first on my own. 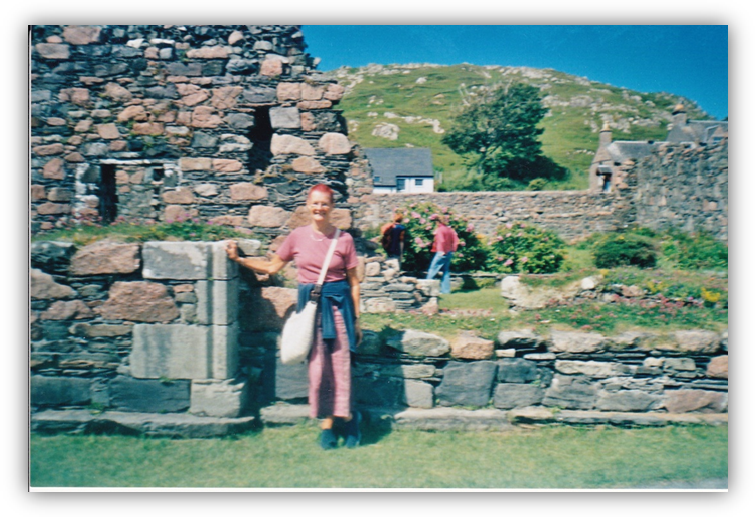 I wanted to visit Scotland the homeland of my Grandma and Grandpa McNicol but how would I get there especially as I didn’t drive. Yes, you have guessed it a coach tour would be my best option. I contacted a local coach tour operator and Bob’s your uncle (or should I say Benny’s) everything was arranged. 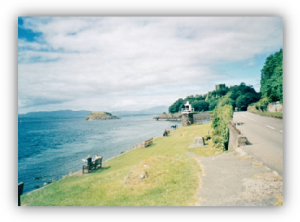 Oban was to be my base for the five day break. A busy itinerary was on the agenda so there was no chance of getting into mischief. My pick up point was the bus stop outside Neath Railway Station at the crack of dawn. 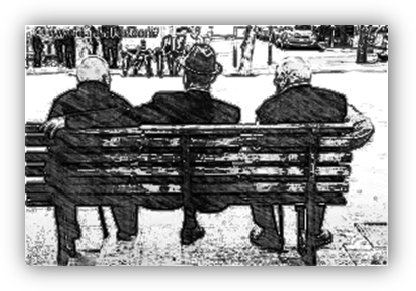 As I sat in the bus shelter a ‘gentleman of the road’ came and sat down beside me. He made his acquaintance whilst he drank a cup of tea which the Station Master had given him. He was a Scot who had fallen on hard times and been on the road for a number of years. He desperately wanted to get back into society. He had an appointment that afternoon which was to help him achieve his aim. The next minute another ‘gentleman of the road’ sits down and then another, so now there are three. One Scot, one Irish man and a man from the North of England – quite cosmopolitan. As you can imagine a wide range of conversation took place. My coach arrived and as I went to board the three ‘gentlemen’ come to wish me good luck and waved me off. I reciprocated and felt quite humbled. It wasn’t exactly the send off anyone would have envisaged – certainly different. As I took my seat I was wondering what my fellow travellers were thinking. Never mind, just sit back, relax and enjoy the ride as they say. I could hardly ask the driver to stop and let me off. 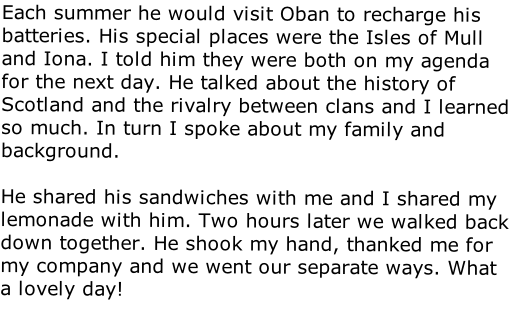 During our long journey to Oban we were all gradually getting to know each other and the ice was broken. Another lady who was travelling on her own and I would enjoy a cup of coffee together on our ‘comfort stops’. By the time we reached our Hotel I was very much at ease and looking forward to the excursions and having the company of new people. After a couple of busy excursion days there was to be a free day in Oban. An optional half-day tour was on offer but I declined as I wanted the chance to explore. 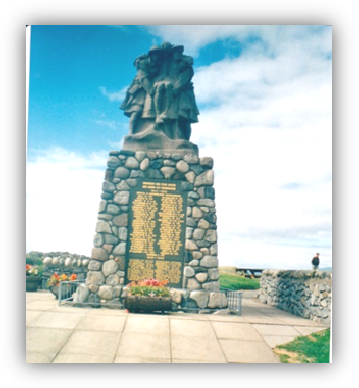 In the afternoon I discovered the War Memorial with its gardens set up high overlooking the sea. I studied the names on the Memorial but there was no mention of McNicol. However, on subsequent tours of Scotland I have found the name depicted. As I sat down on a bench looking out to sea a young man approached and asked if he could join me. I said yes of course. He was married with a three year old daughter, was a lecturer at Stirling University, and had just acquired a puppy. The next day we all eagerly boarded the ferry to the Isle of Mull. It was a lovely sunny day and I sat on deck to make the most of the views and take in the fresh air. 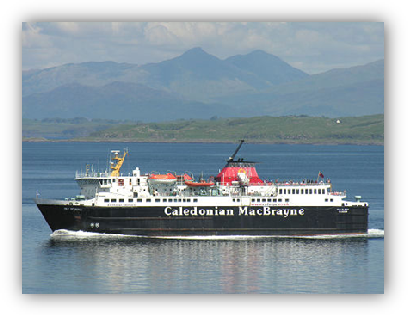 On arriving at Mull we had a splendid tour of the Island. From there we took another boat over to Iona. Our coach driver had allocated us plenty of time to explore the Island before we were all due to meet up. The ‘comfort stops lady’ and I headed off together it was such a lovely tranquil place with heaps of history. There was even a little pub where we took refreshment. The time came to make our way back to the coach. As is normal a head count is carried out by the driver to ensure his ‘charges’ are all present and correct. However on this occasion one appeared to be missing! He was an elderly gentleman who was on his own. Everybody was concerned about him. A search party was set up to go and find him. Eventually one hour later the wanderer returned. He had mistaken the meet up time. The coach driver was still smiling and kept his cool despite the fact there was a deadline to catch the last ferry back to the mainland. Needless to say the gentleman in question was always first on parade after that. MORAL OF THE STORY IS ‘NEVER SAY NEVER’! 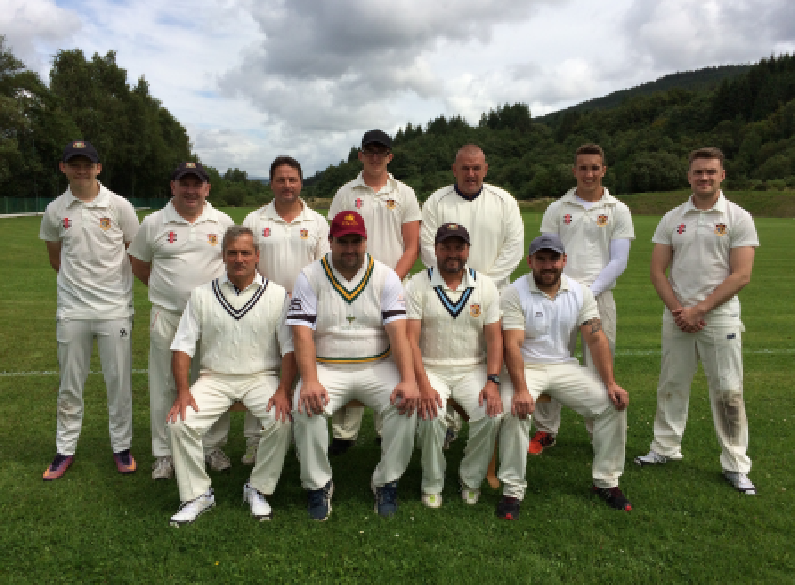 The 2017 season proved to be the most successful in the club’s cricket history winning the West Wales Cricket Association Division 2 title and promotion to Division 1. The squad captained by the inspirational Adrian Lock only suffered two league defeats and was a tremendous squad effort with 21 players used throughout the season. 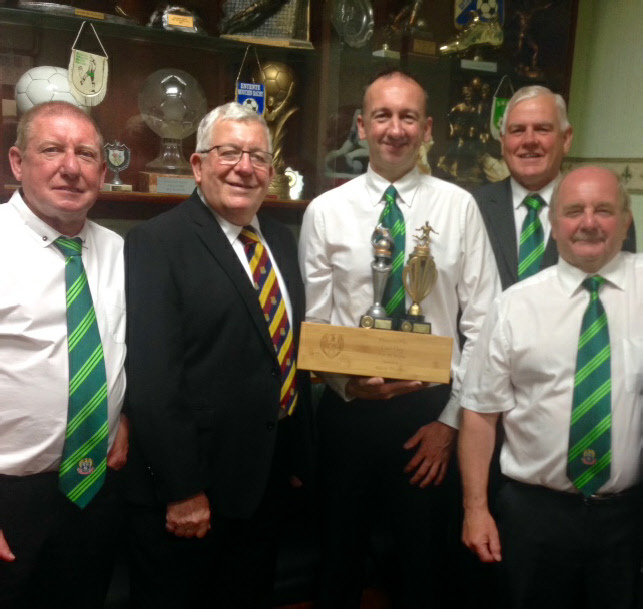 Forest Exiles from Gloucestershire returned for their second tour visit to Resolven in August. 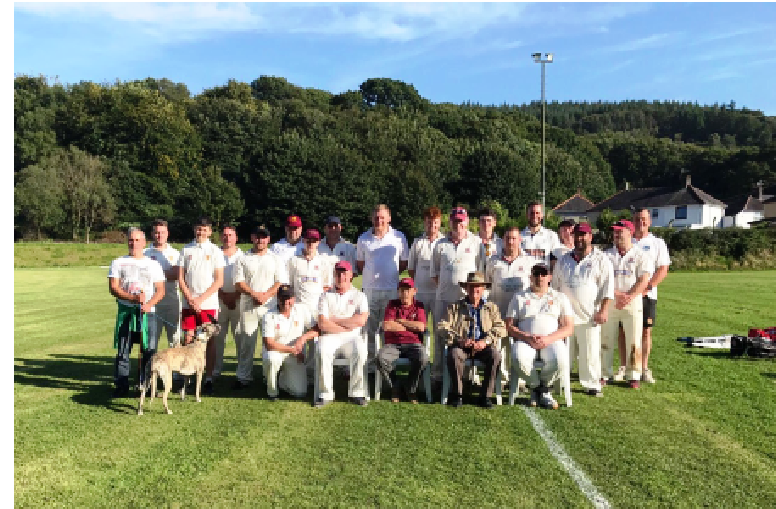 Resolven won a great match with two overs remaining, Ceri Evans scoring the winning run with an excellant shot through the covers and quick running between the wicket with fellow batsman David Williams. 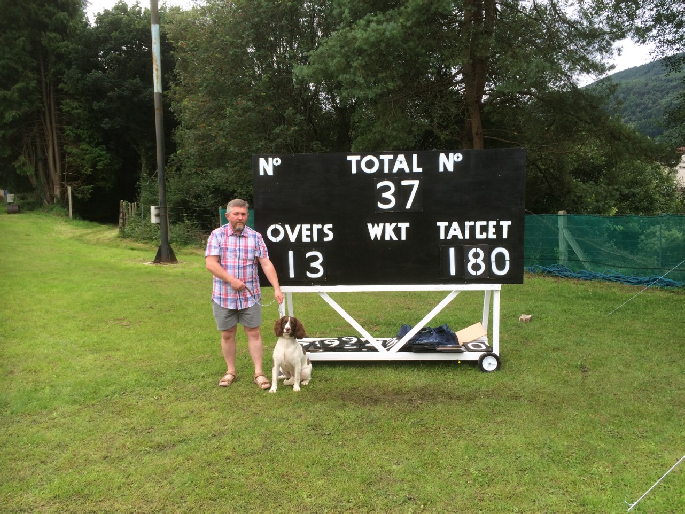 Mathew Evans had another fine innings scoring 61 out of a total of 147 runs. 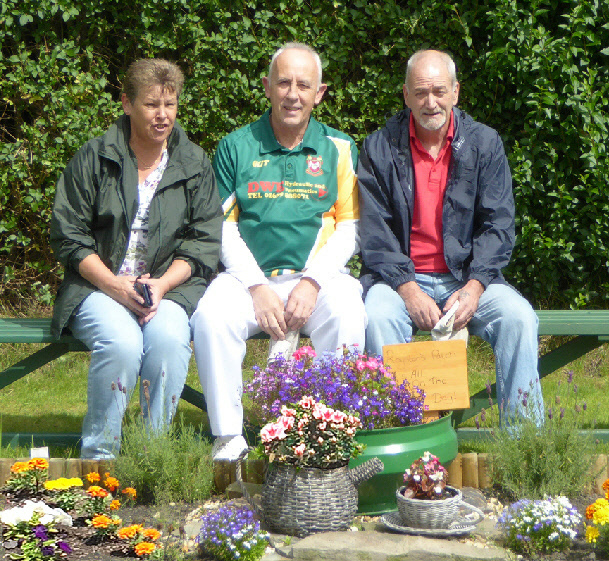 A small garden has been planted in a section of the grounds of the Resolven Bowling Green dedicated to a long serving, stalwart member of Resolven Bowls Club, Mr Royston Stock, Club Treasurer for 30 years up to 2007. A loyal member of RBC, he thought of the bowling green and the pavilion as his ‘second home’ (he also held the position of Groundsman for many years), and is well remembered by so many people locally and by visiting bowlers. The section of garden is named ‘Royston’s patch’ on which a small plaque has been erected stating his favourite saying “It’s All on the Day”. This is so true of all sports not only bowls. 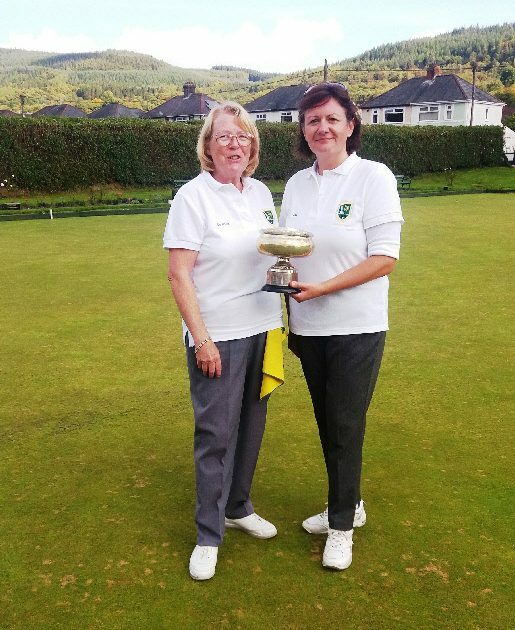 The older members, past and present have played an important part in forming and making Resolven Bowls Club the active and successful club it is today, in order that the club can continue to attract and encourage younger players to enjoy the sport of bowls. The photograph below shows part of the small garden in front of two of his relatives, Mr Lionel Stock and Mr Phil Jones and his partner Dawn. The second photograph shows the majority of the Club Members who gathered together behind ‘Royston’s Patch’ for their annual photo for the 2017 season, all sporting their new coloured club shirts sponsored by local firms. The residents of Resolven are fortunate that the Bowling Green and the Pavilion is still managed by Resolven Community Council who are keen for the Green to be successful, although there are a small group of willing club members who give of their time voluntarily and work hard to ensure the ‘green’ is the best that it can be. 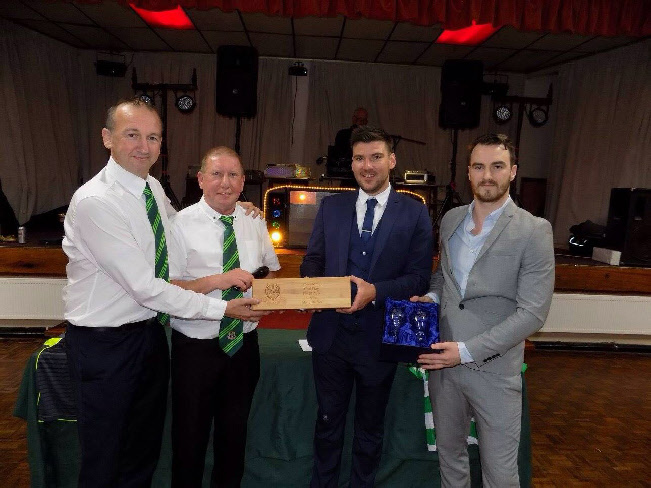 A special award was presented to Carl Day to mark his retirement as a player. Carl has played football for over 28 years with the majority spent at this club. The many tributes from past and present players showed the appreciation and admiration everyone has for Carl on and off the pitch. He was described as a passionate player & clubman that many teams and particularly defence feared. 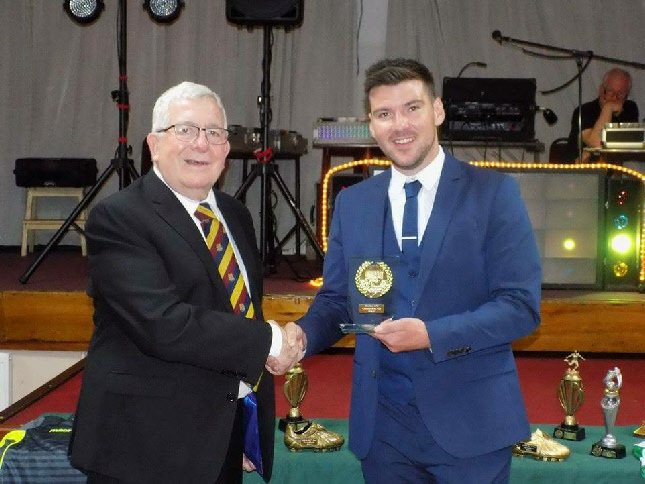 Carl made an emotional speech thanking everyone past and present and he made a special mention to older mentors who inspired him, he also passed encouraging words to younger players to work hard, support each other and above all enjoy playing for their club, winning or losing. 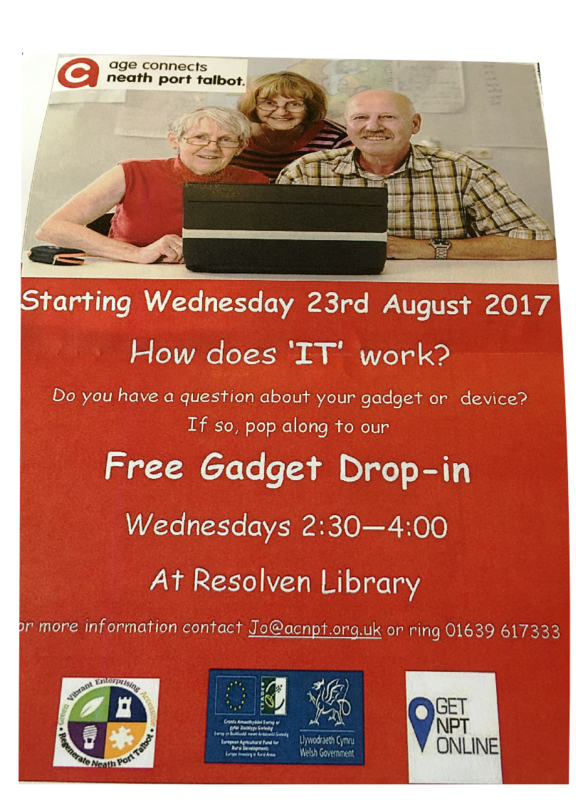 My name is Neal Francis and I am one of the Trustees of Resolven Library. I would like to share with you some good news we have received this week. We have been extremely lucky in being awarded 2 grants. The 1st is a grant of £263 from Hanfod Cymru which will enable us to purchase a laminator for the community to use. Hanfod Cymru is a new national charitable fund exclusively for Wales, distributing the money raised for good causes by Loteri Cymru. 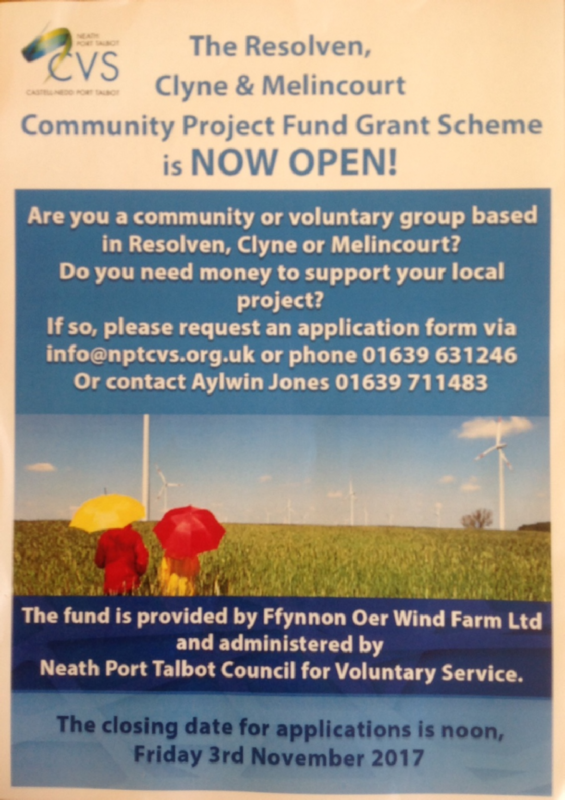 The second grant is from Big Lottery Fund Wales Awards for All. Every year, the Big Lottery Fund distributes millions of pounds of the National Lottery’s good cause money to community groups and charitable projects around the UK. 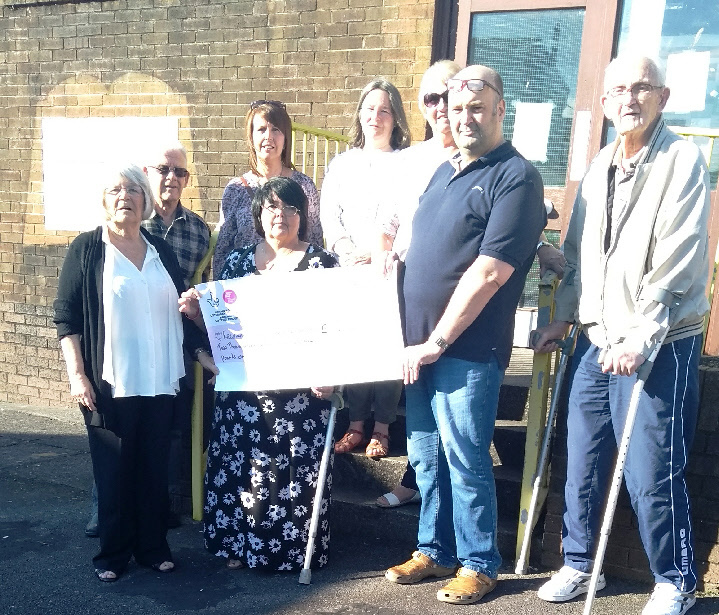 They have given us £2463 which will enable us to purchase 3 new pc’s printer for use by the community and will also let us purchase a coffee machine so that people can come in and have a chat over a tea or coffee. We can not thank both of the organisations enough for their support and I would also like to thank all those who give up their time in volunteering in the library without them we wouldn’t be able to operate. Also if anyone can give up 2 hours a week of their time we a desperately looking for new volunteers for us to be able to continue running the library for use by all in the community.